We are very grateful for the strong, unprecedented international support from the Republic of Korea for our historic cause! Learn more on this page! 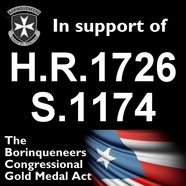 To see what numerous national organizations are saying about passage of the Borinqueneers Congressional Gold Medal Act, click the button below! Click on ROK visual to enlarge! 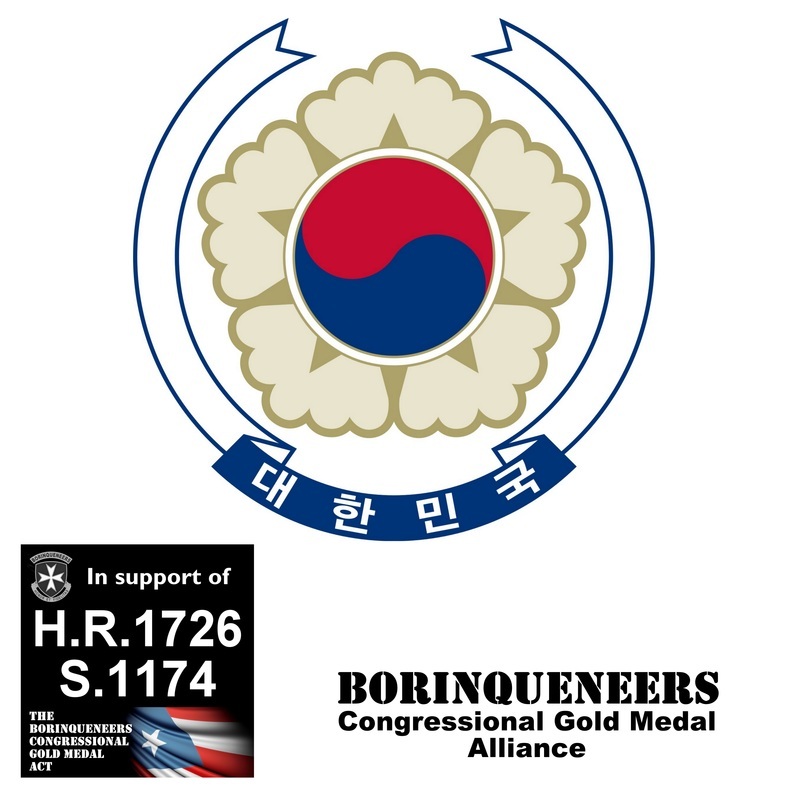 Republic of Korea supports passage of the Borinqueneers Congressional Gold Medal Act! 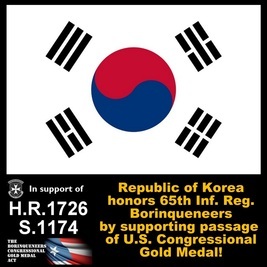 On behalf of his government, the Republic of Korea Ambassador to the U.S. has sent strongly worded letters of support to leaders in Congress for passage of bills S.1174 and H.R.1726! The 65th Inf. Reg. 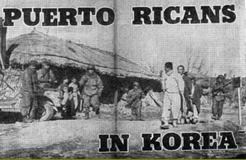 Borinqueneers fought many bloody battles in Korea in the cause of freedom there during the Korean War. 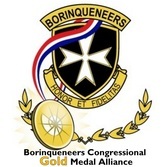 We are very appreciative that the heroic service and many sacrifices of the Borinqueneers are remembered by that grateful nation. Click on House Speaker Letter to enlarge! 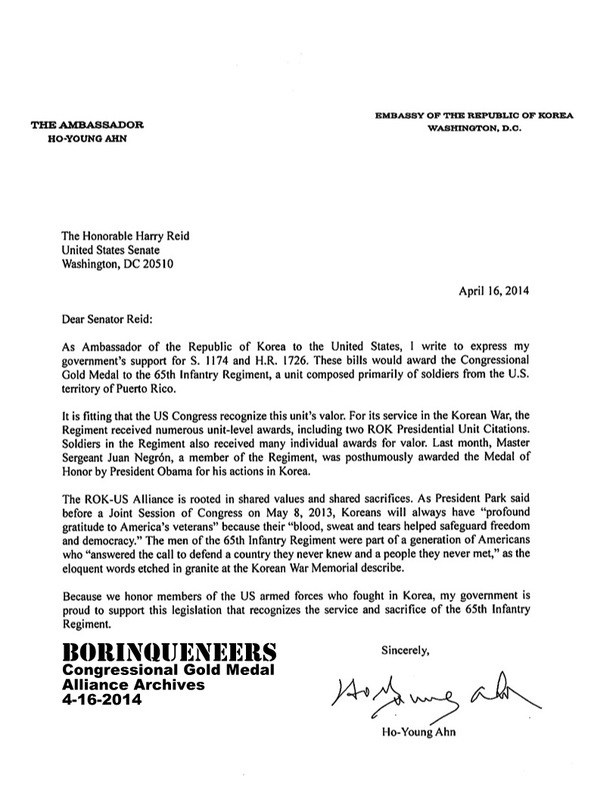 Click on Senate Majority Leader Letter to enlarge! ROK has sent similar letters to additional Congressional leadership! 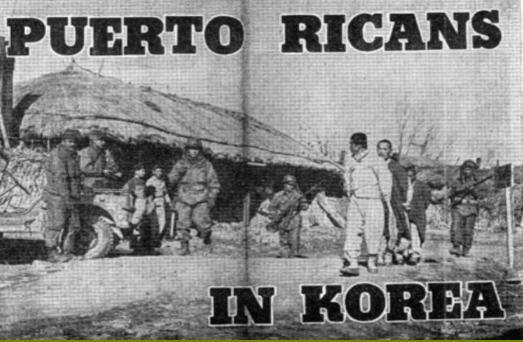 From Stars And Stripes, circa 1951. Click to enlarge! Click on ROK Emblem visual to enlarge!